Marco has more than 12 years of consulting experience in the field of ICT, both in the startup and in the corporate world. He has a Master of Science in Computer Engineering from University of Pavia. He is also certified in AWS Architecting, AWS Developing and achieved other security related certifications. Python is his favourite technology. Marco’s greatest passion in his free time is digital photography. In Ericsson Marco gained experience in Telco, working for Vodafone, Telecom Italy, Fastweb, H3G, with different roles; he is now Solution Architect, dealing with architectural design and presales support of Public Cloud Solutions in Amazon Web Services Environment, for both for italian and european customers. Over the years, he learned how to recognize and satisfy Customer Requirements, for complex problems and large systems; he acquired the ability to turn these requirements into distributed and scalable solutions; he also coordinated small development teams. 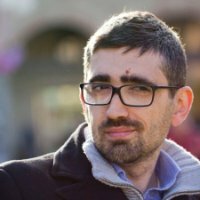 In the latest year Marco passionately improved his knowledge on AWS Public Cloud offering; he attended several workshops across Europe to learn the best practices for architecting and selling large scale services on Public Cloud; he aided Ericsson in developing an internal process for AWS account provisioning and management. "Selfcare API" : XML-SOAP based API, available for H3G customer base web portal and mobile applications (IOS, Android). Acts as a bridge between the frontend and the internal systems (DWH, Billing, CRM, Payments, etc.) - Oracle Weblogic Server, Spring, Hibernate, Coherence, Java, PL-SQL, XML, SOAP - Architecture, Analysis. IndieGala is a well established digital goods reselling company, based in Rome. Marco has been the Lead Architect for this company since its foundation; starting from scratch, he designed and delivered an e-commerce platform on Google App Engine, based on Python and Django; this platform is fully integrated with Steam API and with the major payment service providers (PayPal, Global Collect / Ingenico, Stripe, Braintree, Google). During this experience, he also managed hundreds of Linux instances on multiple cloud providers (AWS, Google Cloud, Linode, Microsoft Azure); he developed tools for deploy and configuration in Python, both at low-level (through remote shell commands) and with the use of proprietary APIs; he dealt with the security hardening of the above mentioned services. Marco started working as a Developer / Analyst in a small web agency based in Milano, taking care of all the project phases, for different customers and different custom-made solutions. Analysis and development of web applications to index the associate's network of major italian insurance companies, in partnership with IRSA. System Administration of Linux/Unix servers. Deployment of the internal VOIP Network. Analysis and development of client application for insurance cost estimation. THESIS PROJECT: Development of a FIR filter and signal modulator for a LINC GSM-EDGE transimtter with Matlab-Simulink; Implementation in VHDL and synthesis on silicon. Thesis in collaboration with ST Microelectronics.